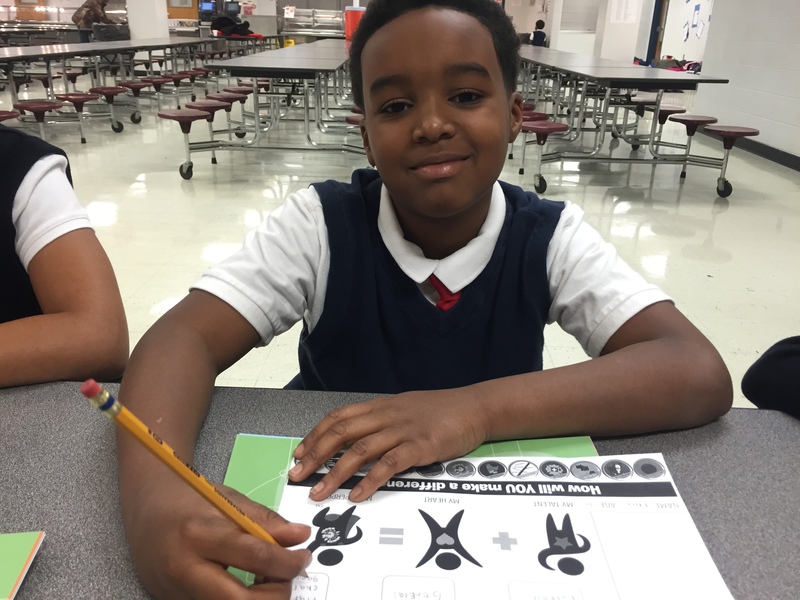 Today was the beginning of the third week of our afterschool program implementation in coordination with the YMCA of Greater Louisville‘s Childhood Enrichment Program (CEP) and already we’re seeing such awesome things happening! Our YMCA Site Directors are nothing short of talented, genuine and truly dedicated to cultivating compassion and kindness within the hearts of our youth. 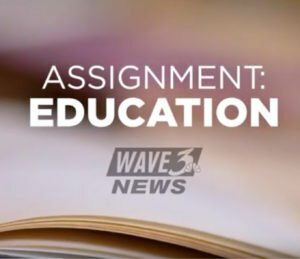 When we created our curriculum our goal was to make it as effective as possible in educating children about their responsibility to serve others. 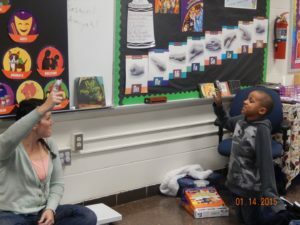 While at the same time maximizing the opportunity for creativity and flexibility for the site director teaching the content. It’s inspiring to see what awesome ideas, tricks and lessons our site directors are coming up with to not only engage the kids in the program but to excite them, as well! 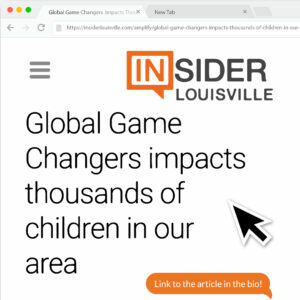 At St. Patrick’s, Adrian Manning encourages her students to listen up by saying “Global Game Changers Unite!” while sticking her fist in the air and immediately the children respond with, “Unite!” and stick their fists in the air. 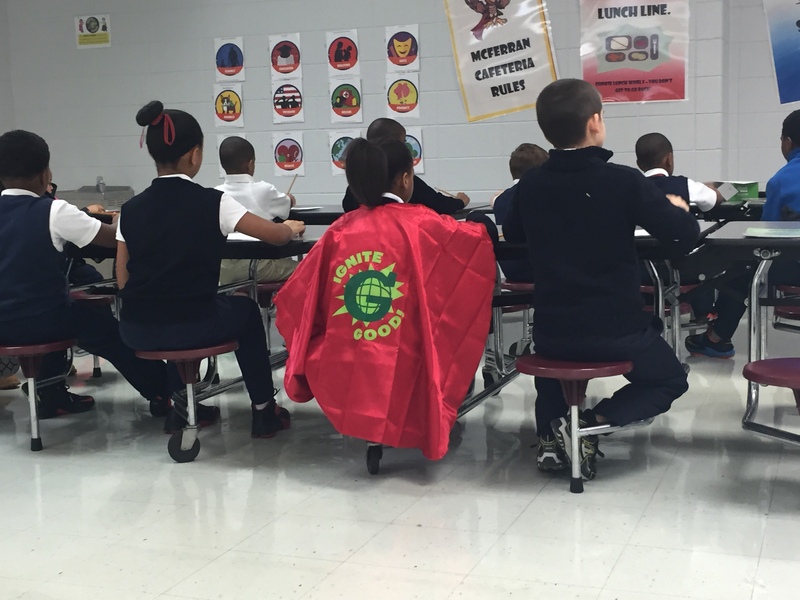 At Fern Creek Elementary, Kristina Stone constantly reminds her students of their superhero capabilities. At the end of each meeting the group gathers into a huddle and makes a verbal commitment to ignite good and radiate kindness throughout their days and until the next meeting. 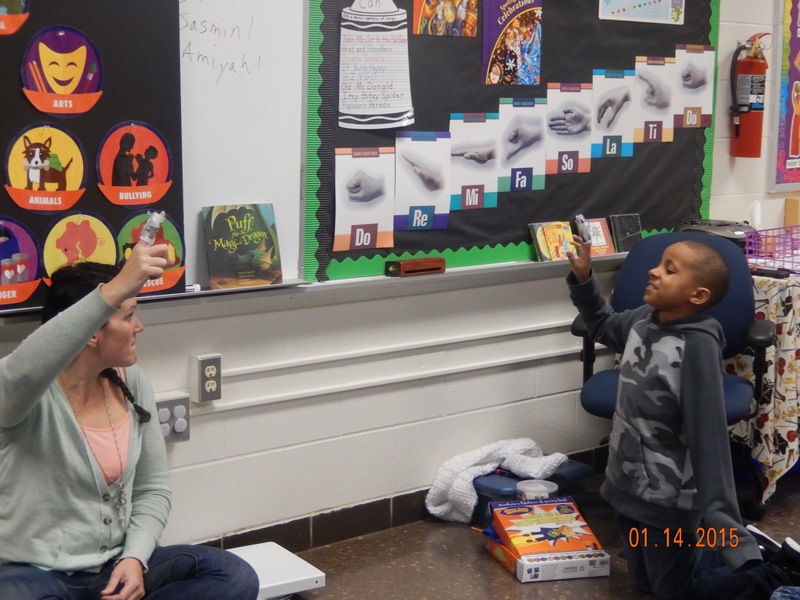 At Smyrna Elementary, Cynthia Skaggs begins each program by asking the students what acts of kindness they did that day or week. The stories range from children proudly admitting that they helped a friend learn a new skill to them playing with someone who seemed left out to giving to others without asking for anything in return. Every child is excited to share- which gives another incentive for them to be performing acts of kindness everyday! 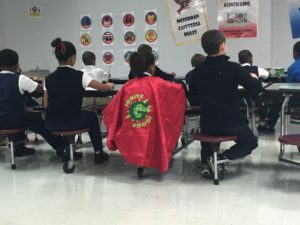 Of course, these stories only touch on three of our schools, but we mustn’t forget the other 13 who are excelling in creating a vibrant environment for our developing superheroes! It is difficult for us to find the words to express our gratitude for the hard work of not only our site directors but for our college and high school mentors, as well. They’ve all taken on the task of ensuring that our youth never succumb to apathy and to help them better understand their responsibility to live compassionate, caring and genuine lives. To teach our youth the true meaning of kindness and the power that it can have on our world! Our programs would be nothing without these hardworking and passionate individuals and for that we are so very grateful that we have such an amazing staff!